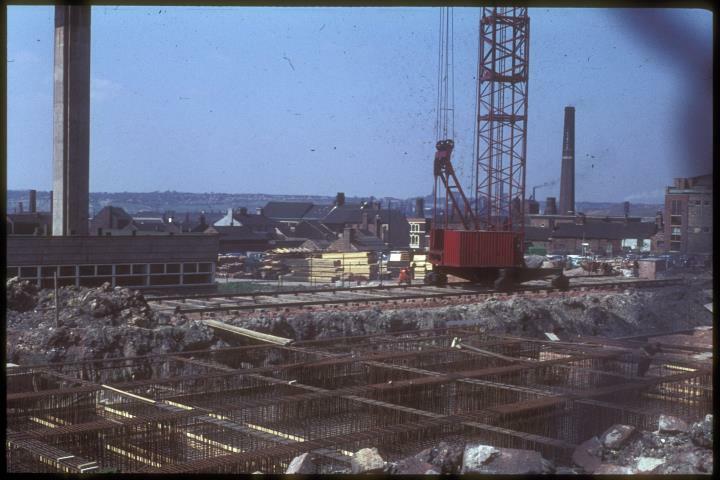 Description:This photograph was taken during the early stages of the building of the City Central Library and Archives in Bethesda Street. On the left is the chimney attached to the boiler house and on the right Ashworth's chimney at the Broad Street pottery works. 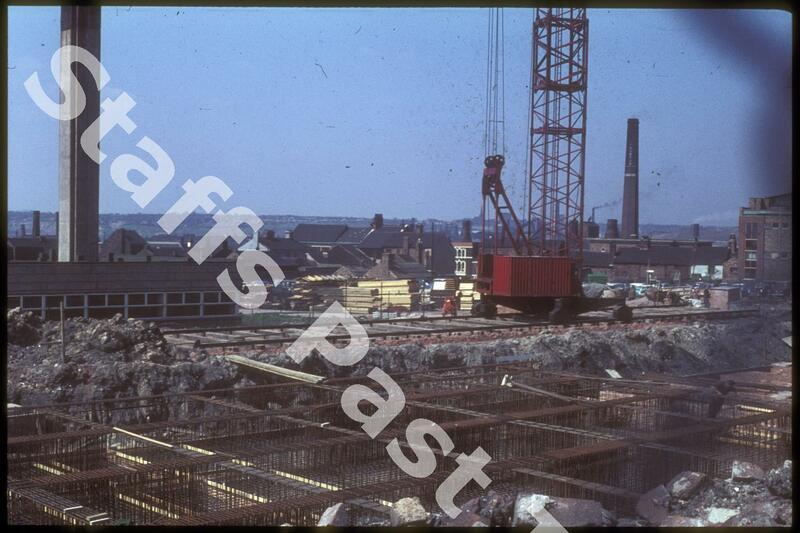 the photograph was taken from Bethesda Street, looking northwest towards Etruria and Wolstanton. Wolstanton Colliery and St Margaret's Church spire are just visible through the tower crane. The buildings in the middle of the picture are on Broad Street. On the right hand edge is the City Museum and Art gallery building, before the extension opened in 1981. This photograph was taken in April 1968 and the library opened in September 1970.